Reiki healing energy found me in 2000 whilst travelling around Bolivia. ​The power to heal. The power to protect. The power to connect and realign. And so much more.... I wonder where your Reiki journey will take you and what you will discover? A Reiki healing treatment is something to be experienced. A Reiki healing attunement is the gift to support your own wellbeing and others around you. Since my first attunement in Bolivia I've added more layers of hands on experience and insight through Levels 2, 3, Advanced and to Reiki Master. My suggestion would be to take the time you need. It will find you or you will remember it again when the timing is good. 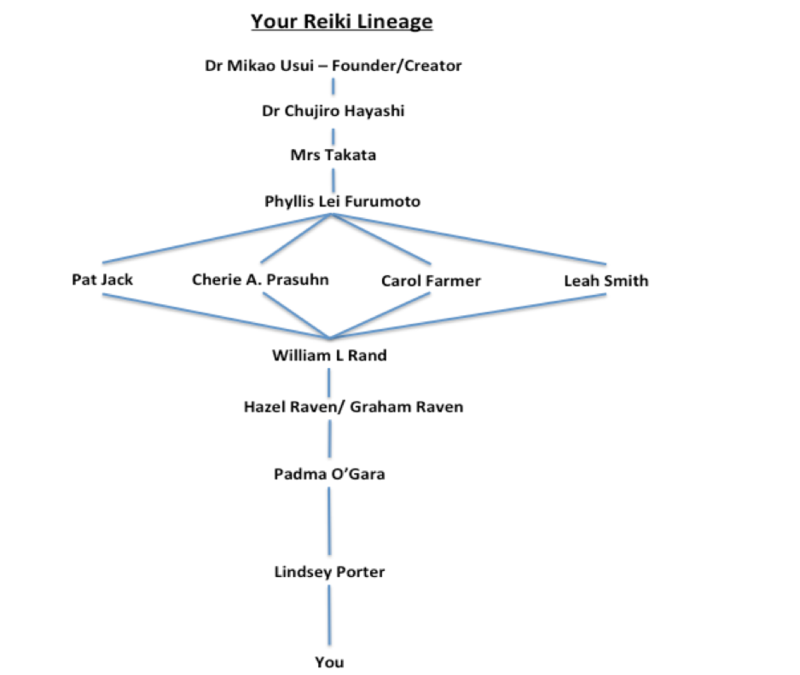 More info on my Reiki lineage and testimonials below. It would be an honour to guide you on your way into the benefits healing energy can bring, as a one-off session or through practitioner levels. Queries welcome. Contact me by clicking here. 121 Sessions start from £25 and attunements from £95. ​to find it click here. Read an account of a client's Reiki Initiation/Attunement experience with me - click here. "I found it extremely relaxing and was definitely something I needed to do." 'Today has been a really lovely day for me. I have felt calm and happy and had a really positive sense of well-being. One of those days when you feel like everything is going to be ok, that it is all manageable - no mean feat a fortnight before Christmas! So that maybe ties in with ur sense of stability and being grounded. That is really how I have felt today. I love your description of the image of a velvety red rose. Beautiful. I had never even heard of Reiki before meeting Lindsey, first as a work colleague but then as close friend and my reiki master. Upon first hearing about reiki from Lindsey, I thought it sounded a bit 'odd' but decided to give it a go. I'm so glad I did! Dressed down from the 'hippy' thing that I thought it to be, Lindsey explained the theory and how it works in her characteristically knowledgeable, warm, mindful and friendly way. It wasn't long until I wanted to give it a go and experience it first hand. After just a few sessions of doing just this, I started feeling the benefits, both emotionally and physically. First and foremost is so incredibly relaxing. Whilst in this state, Lindsey does her Reiki magic and senses the area, whether physical or emotional, that is in need of some extra energy and healing. 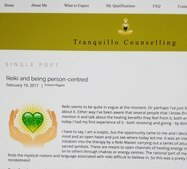 [On an emotional front, reiki can bring up a few emotional skeletons but it in turn provides the mind space and energy to work these out]. For me reiki with Lindsey is relaxing, comforting, healing yet also energising at the same time. I had to try it to believe it but I am go glad that I did! Reiki II – with Dee Kelsall of Greenhouse Therapies, Chester, England, 2006.